Hey everyone. 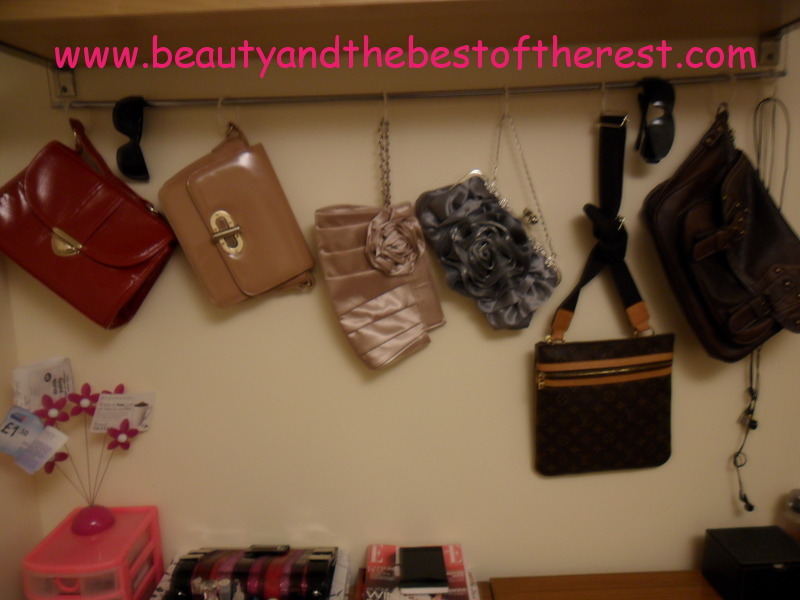 I finally got my jewellery and handbags organised in a way that I like. It’s tidy and shows me everything at a glance which makes it really easy to choose what to wear. Take a look below. 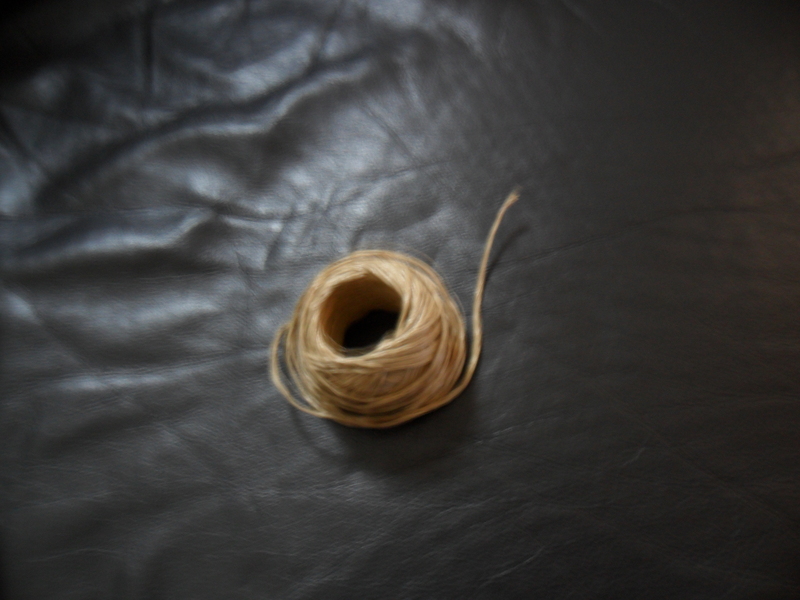 All you need to do is thread the string through the hollow pole and then tie the ends to make a loop. I then placed the looped poles over some shelves in my room but if you don’t have shelves then you could hang them any way you want, maybe on a nail like hanging a picture. I also used the poles to hang some random things that are difficult to find places for such as sunglasses and earphones. Not only is this a good way to organise your things but it also looks really pretty and decorative. 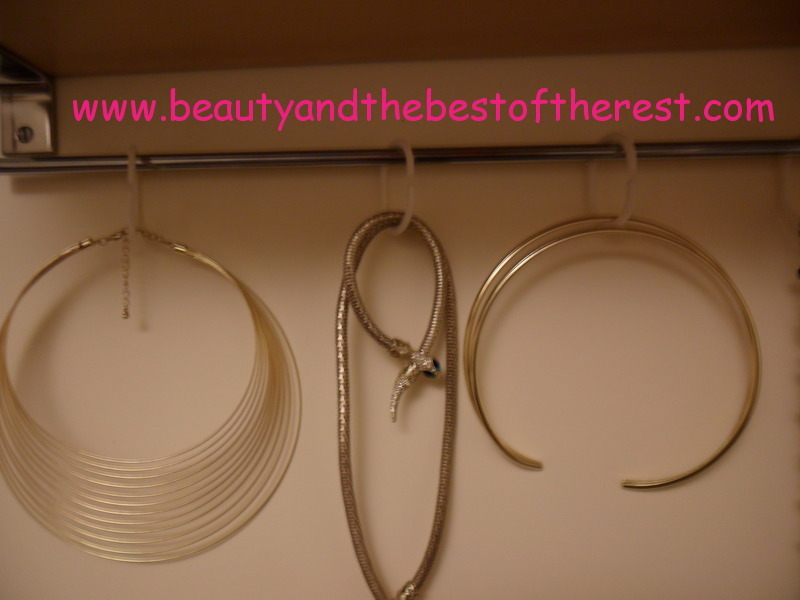 For me, it was best to hang my longest necklaces and my rigidly round necklaces from the poles. 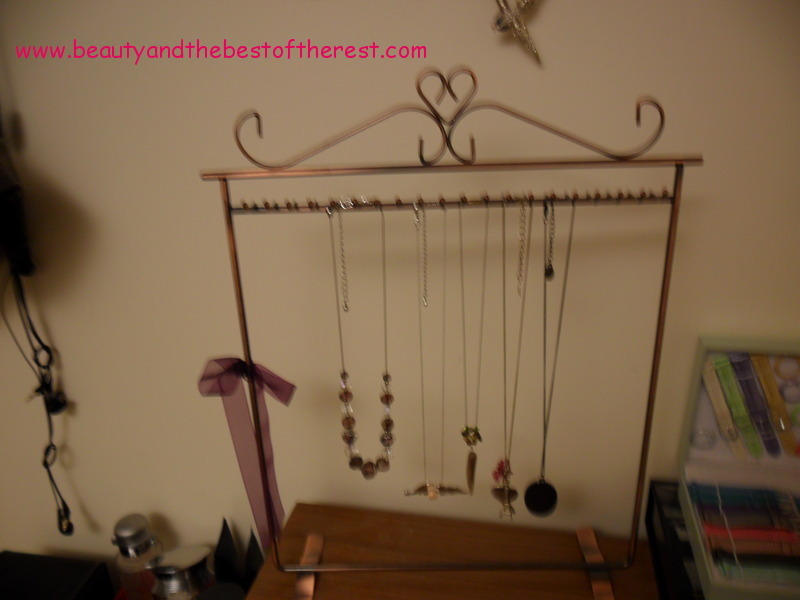 For my other shorter necklaces I use the stand below which I bought a few years ago from Ebay. 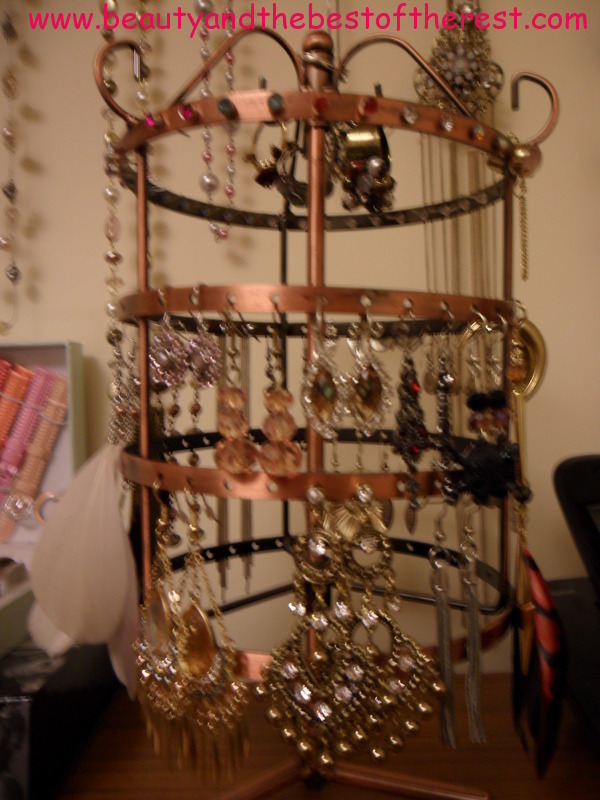 For my earrings I use a matching stand which I also bought a few years ago from Ebay. If you like you could hang bracelets and bangles from the poles but I liked to only put bracelets on the poles which matched necklaces already on the poles. 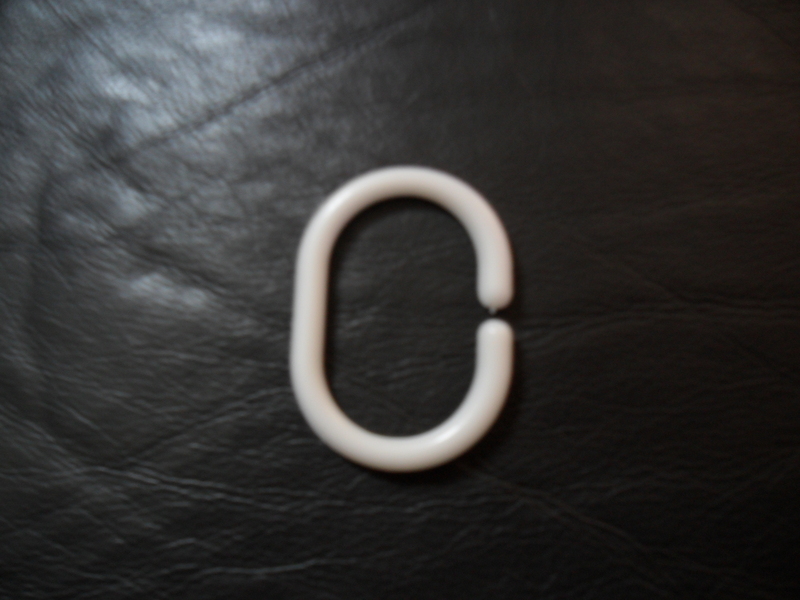 For all other bracelets I use a black T-bar display which you can see at the top of the first image in this post. So let me know what you think. Would you do this? Or do you already organise your things in a cool way?